Can you believe the holidays have come and gone and the New Year started? Before you plan your new year’s resolution, there are three things we at Las Vegas Pest Controls thankful for and want to share it with you. However, first, take a breather and acknowledge the great things at this moment in your life. Despite the fact of showing your loved one thanks for everything in the year, we find gratitude is not cliché but needed. Heartfelt appreciation of situations and people bringing joy into your life invites more enjoyment—something everyone needs in this extreme world. To make it even better, by expressing thanks helps motivate others to consider all the finer things in life. The truth is appreciation and laughter is infectious. A fact is that Ranger Pest Control has many things to be grateful. We are excited to share it with you! Throughout the year, we heard hectic stories, and one could easily lose sight of what makes America special. A fact is we can be thankful for freedom. We are grateful to live in a land where we can enjoy life, as we want with family and friends. Furthermore, we are incredibly thankful for those who protect us. We want to give sincere thanks to all sacrificing their time to keep us safe to preserve the freedom we take for granted. We cannot stay it enough thank you. We believe the active community we live in makes it a better place. Further, we pride ourselves in getting involved in the city. The more invested we are, the better the world is for our children. Every day we meet people trying to improve the schools, organizations, churches, and neighborhood. The community inspires us and reminds us of all the right things done in the land and the rest of the world. We cannot thank the community enough for the fantastic work they do to make our living space better. 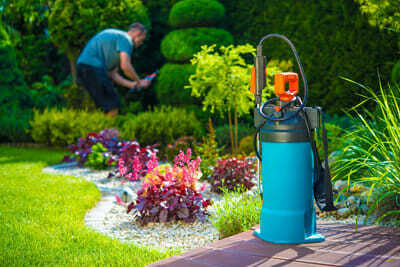 Without you, we as a pest control company cannot survive. YOU ARE AMAZING! This part is hard to put into words. Families are more than just classic structures they are our support system. The family makes up the foundation of every human’s life, and we are grateful for our crazy families. Lastly, we are thankful for our employees that are our working family and an outstanding group of people that make life better each day. Lastly, we here at Ranger Pest Control are thankful for our customers because without you we will not survive. As we look back on the year, it is the small things that add together providing us with happiness and growth. Thank you, everyone, for making our lives better, and we are thankful for you all!